1983 CBS 12"), David Bowie, Elton John (rare Rocket Record Company 1989 12"}. * Dance Disco Music 2 April 19, 2019 "Talk about sumptuous Disco Music energy .... a few immense examples may be illustrated here today"
rare 1978 Quality Records/Canadian 12") and other groovy enticement ! * Dance Disco Music 1 April 17, 2019 "It's time to luxuriate via some rather Ace retrospective Vinyl tracks"
Dan Hartman (rare Blue Sky 12"), Madleen Kane (rare 1979 12"), New Paradise (extremely rare 1979 12"), Freddie James (original 1979 12") and more Disco. * Disco Energy April 14, 2019 "Enjoy some rather nice beats and hopefully escape the woes of a modern world"
(1991 Arista 12"), The Flirts (rare 1984 Hispavox/Spain 12") and other rhythmic examples of pure ENERGY. * Disco Explosion April 11, 2019 "Happy days and nights are yours via these incredible vinyl Disco music rarities"
McLaren (1989 Epic 12"), Hot Gossip (1984 Fanfare/UK 12"), Pauline Henry, Playmate (1978 most-rare Salsoul Records 12"), Baccara (1977 RCA 12"), etc. * Disco Reminiscing April 09, 2019 "Delicious Disco-infused tracks. Ultimate retro energy to get those hips shaking big-time"
Robinson (1979 RCA Victor 12"), Real McCoy, Michael McDonald (1990 USA Reprise Records 12") and other hotties. * Disco Break April 07, 2019 "Today we've got pure Disco Magic from multi-eras. Hoping you enjoy this feast of wonderful Dance Music"
First American Records 12"), The Ritchie Family (1980 Casablanca Records 12"), etc. * First Choice Disco April 05, 2019 "Here's some magical sounds, featuring mega-Disco tunes from a group called First Choice plus other cool Retro gems"
Feelin' Fine 12"), Jason Donovan (rare Mushroom 1989 Australian 12") and other amazing Vinyl Record energy. * Disco Hit House April 03, 2019 "Energised Retro Club Music ... it's yours right here now"
1979 12"), Sandy Mercer (extremely rare RCA 1979 12"), Hithouse featuring Reggie (rare Possum 12") and more. * Disco Electricity April 01, 2019 "A special Disco journey featuring groovy dated Vinyl tracks"
Paul Lekakis, Slingshot (most rare 1983 Quality Records 12), Timmy Thomas (rare 1984 Polydor 12"), Beatmasters, Ashaye (antique 1983 Carrere 12"), etc. * Disco Go Deep March 27, 2019 "Disco Deluxe Energy so different ... most Hotttt"
and other groovy vinyl magic. * Disco Beef March 25, 2019 "Enticing Disco Vibes await "
1977 Miracle Records 12"), Patti Brooks, Tenderloinz (rare Next Plateau 12"), etc. * Secret Agent Disco March 23, 2019 "This one is rather Hott"
1983), John Farnham (extended 12"), Cyclades (unique rare 1979 12"), Carolyne Bernier (rare 1979 Private Stock LP), plus other immense energy excitement. * Disco Atmosphere March 21, 2019 "Great Disco Music for 2019"
featuring Rod Stewart, Mirage (rare George Benson medley), Loveland, Sphinx (ultra-rare 1977 LP), Hyper Go Go, Barry Manilow and other superb grooves. * Disco Paradisco March 20, 2019 "Luxuriate in Disco Bliss"
Family (two bonus 12 inch's), Jeanie Tracy, Cappuccino, Hazell Dean, Dalida [rare 'Disques Able' 12 inch) and more Disco excitement par excellence. Liquid Gold [immense rare 12"], Boney M, Eugene Record [most rare 12"], Chic [very rare 7"], Gene and Jim are into Shakes [ultra-rare 12"] and others. and a few other amazing retro Dance tunes ! William Bell [premium rare 12"], Thelma Houston, The Tramps and others today illustrate what immense Disco energy is actually about. Hope you enjoy ! Rare Vinyl Records ... Billy Moore, Amanda Lear, Dan Hartman, Maria Short, Kon Kan, Hazell Dean, Lisa Stansfield, Shooting Party, Jerome Stocks + more. Rare Vinyl Records ... Gepy & Gepy, Foxy, ABC. Mike Mareen, Hemyl, Patrick Hernandez, Kongas, Dexter Wansel, Tracie Spencer & much more. View how this retrospective Magic is actually performed ... transitioning one Vinyl Record seamlessly into the next ! I'm blessed to have 5 Stereo Record Changers ... two BSR's, one Dual, a Phillips and a Technics. Often, I load up to eight Vinyl records on these dated devices for seamless (one after another) play. 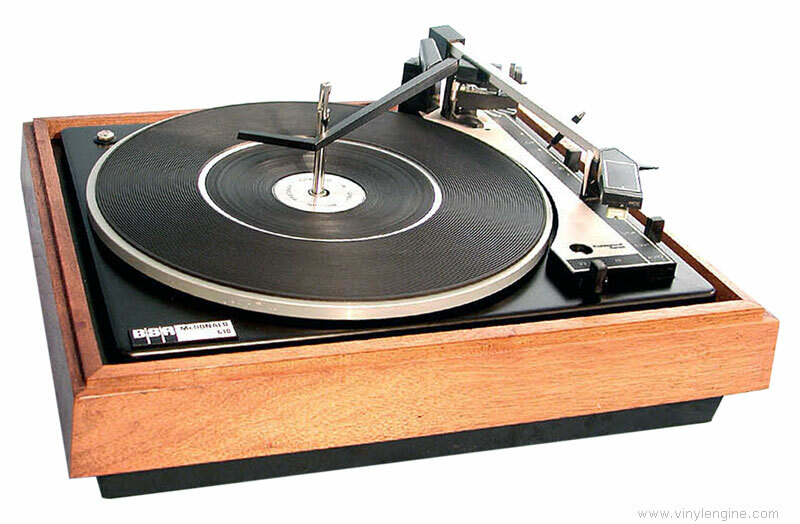 These automatic turntables were certainly built to last and replacement Stylus are easily obtained from so many on-line places. Despite being 'Rim' drive (as opposed to belt or direct drive) each Record Changer has stood the test of time, delivering consistent quality Stereo sound and endurance. Automatic Record Changers are so cool ... and you can obtain them via eBay, Gumtree and other places. What a pity that Record Changers are no longer the 'norm' as they were in the 1960's and 1970's ... cause they are the ultimate musical device. Thanks so much for listening to a few of my vinyl records on an original Internet Radio place - now in 22 years of Service. via it's unique energy and enticement. retailers re-stock an impressive range of Vinyl content. 'Aldi' even recently featured Records and quickly sold-out with no mark-downs. connect instantly with audio systems and computers via USB or standard RCA Stereo cables.